"I can see a big difference now"
Not Verified | Comparing to my last visit three years ago, I would give 10 out of 10 because I can see a big difference now. They have improved a lot. 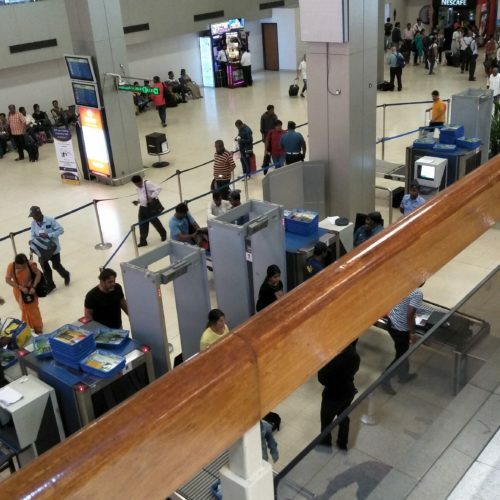 The airport have removed the security check on the Main entrance of departure Terminal, so its a hassle free traveling. Also, the airport looks neat, clean, and beautifully designed with quick service at check in and immigration desks. Not Verified | I travel a great deal and this airport ranks up there with the worst there is. Initial checkin is standard but from then on it goes steadily down ill. From nasty washrooms, extremely limited eating options, ridiculously over-priced shopping selections, and a reluctance to sell in their own currency. Even the duty free would not take rupies. There is simply nothing appealing about this airport. Why would any management think it would be ok to treat its captive travellers this way. It’s the first and last impression of this country! You need to do better! Not Verified | Absolutely the worst airport I have commuted through. Definitely third world. The bathrooms are filthy, no seating anywhere and the airline lounges are just a waiting room. There is nothing comfortable about travelling and waiting in this airport. 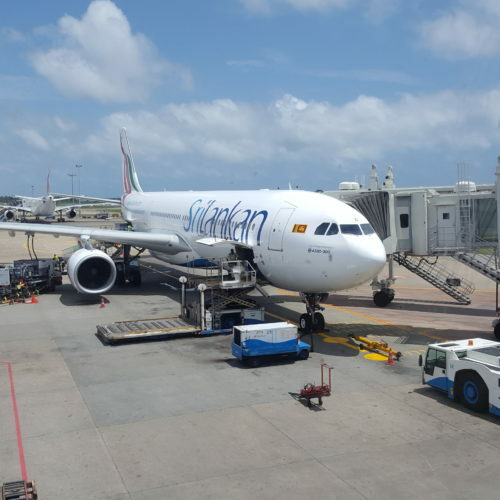 ✅ Trip Verified | Colombo airport has pros and cons to the nth degree. Good: You can access good shopping areas without checking in. Plenty of friendly ground staff. Reasonable design. Bad: Too few Arrivals and Departures electronic boards, the one is in the wrong place, unviewable from the seating areas. Uncomfortable seating areas. Poor food selection. Nowhere to easily recharge devices. Tannoy system hard to hear/understand. 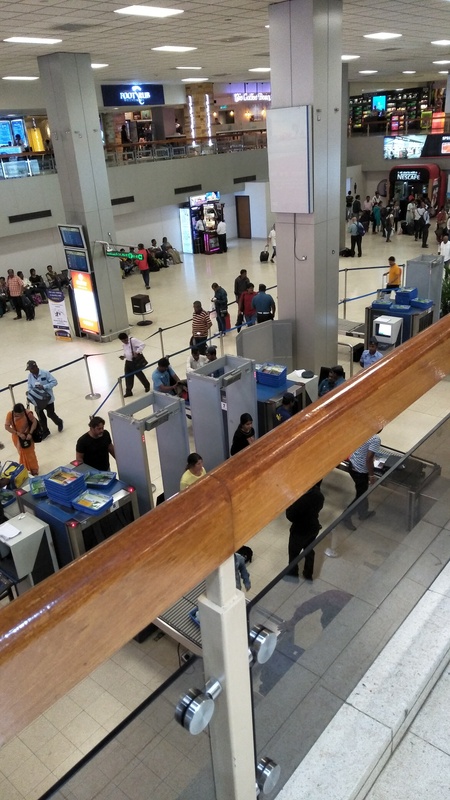 The worst aspect is the second security area which is a complete bottle-neck for the whole departure area, spoiling the whole otherwise reasonable experience of a smaller airport. 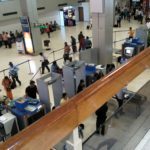 "Arrival was marred with confusion"
Not Verified | This is one of the most chaotic airport immigrations I have come across. Arrival was marred with confusion about the immigration lines. There were two separate lines not close to or next to each other. Passengers were asking each other for what they ought to be doing as there were no signboards or direction boards directing us and no one guiding us at all. Not a staff member. Departure was even worse. Close to a stampede as someone told the long queue of passengers waiting for immigration to make a second line. What followed was absolutely crazy! Again not one staff member or security personnel came forward to clear the situation. The immigration officers didn't seem bothered at all. What a shame to end an amazing vacation like this. Not Verified | Used this airport when flying between DXB and Sri Lanka. Experience of arrival was very good. we landed about 1700/1715 and we exited plane on steps. We took a bus to the terminal, then boarded immigration. Lines were pretty long but we got to the front in the end. Staff were polite quiet and did their job without a fuss. Duty-Free stores were excellent with at least a hundred different kinds of chocolate, alcoholic drinks at affordable prices. Baggage claim was massive and the airport atmosphere and ambiance were pleasant. The terminal was very crowded but very nice for what seemed like a relatively old and dated airport. Departure experience was not quite as pleasant, though. Check-in area was packed and each and every staff of check-in desks were of SriLankan Airlines which seems quite strange. It isn't like this at any other airport I've been to so why not here? Security was also fairly busy, and the staff was a little moody. The airport is slightly confusing, as Security is first and then check-in. The airport is also very small, and there aren't nearly enough seats for the number of passengers. We got to our gate about a minute-and-a-half after check-in, and the gate was too crowded for one to move. We again took a bus to the aircraft and boarded again with steps. A pleasant airport. Astounding if you've no choice but not quite as good if you do. "appears to serve its purpose"
✅ Trip Verified | It is a small international airport and it appears to serve its purpose in a basic manner. When we arrived, we received our “checked-in” luggage within 10 minutes of waiting. Not bad. The immigration and customs staff were formal. 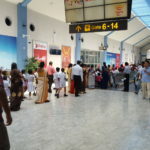 When we departed, we had to go through 2 levels of security checks just to get to the Srilankan Airlines Check-in desk. This came as a surprise. We had the final security clearance just prior to the boarding area. The staff there were all trying their best. There are quite a bit of shops but, the products are more geared to the regional market. We found a lounge and waited for the flight in this area. Whilst we were there, there were parties of school children being shown the airport. This added to the confusion of what was going on in the departure process. We encountered an emigration officer who was most helpful. I asked him where a particular photograph of a SriLankan building was. He came out of his desk and started to tell us where it was, how to get there and what to do. Obviously he did not have the pressure of people leaving and he showed the friendly side of SriLanka. ✅ Trip Verified | Had a terrible experience in Colombo earlier last week. 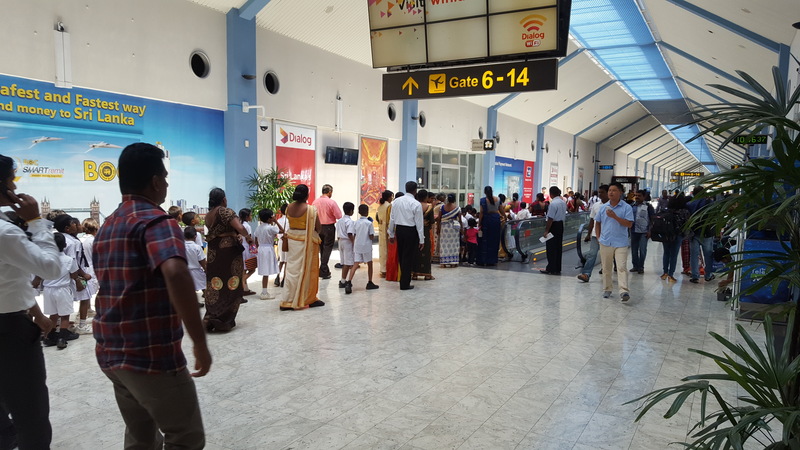 Like many have said, Colombo is the worst airport ever, I should have transit elsewhere like in DXB (Flying on Emirates), DOH (Flying on Qatar Airways) or SIN (Flying on SQ) instead of Colombo (on SriLankan). Let me say that the facilities are disgusting and the “Final Call” does not make sense as we are not boarded on the plane yet. 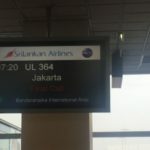 While my SriLankan Airlines flight were all great. The facilities and services from the airline at Colombo Airport is as bad as it gets. ✅ Trip Verified | This is by far the worst airport ever I’ve been at. You know that the airport is old and disorganized. 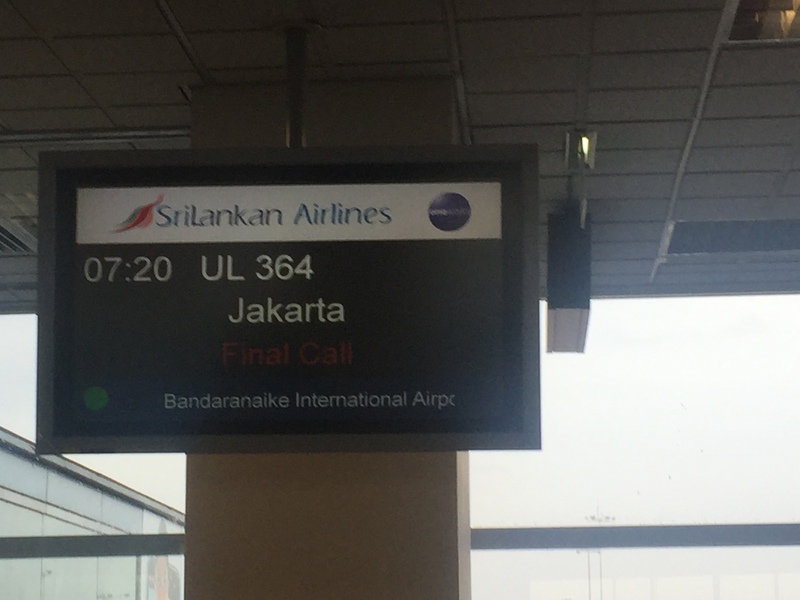 My trip to Maldives from Indonesia via Colombo and had a few days of layover there. In the picture below, I’ve captured the false signs of “Final Call” but the flight hadn’t boarded yet. How can this happen on earth? We never seen this in other airports around the world. Upon arrival into the gate, another security check is required which caused another long wait and I must take off my shoes. 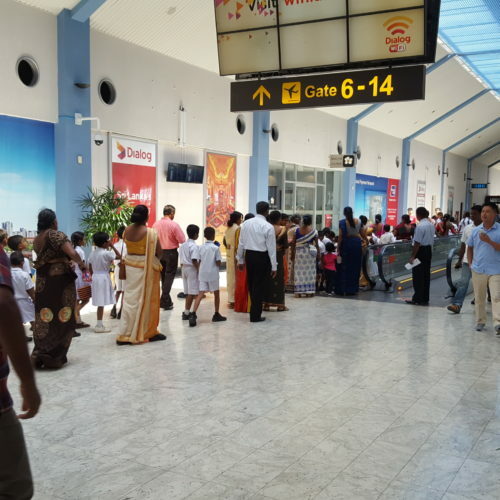 While my SriLankan Airlines flight was good, this airport is a complete mess and a disgrace for Sri Lanka. This airport probably deserved negative ratings to me. Avoid this airport at all costs. You’ve been warned. Next time I’ll fly to Maldives again (because the island and the people were great), but will fly via Dubai, Doha, Hong Kong, Singapore or BKK instead of here. ❌ Not Verified | Avoid. It's not Sri Lanka, it's not Singapore. Looks shabby. Rates are more than Singapore or US. No soft seats. WiFi is super slow. Get your own food from where ever you coming from. No local food. Just eat junk food at fine dining cost of Europe.